While poking around in IBM's developerWorks wiki I noticed that pages for the next Technical Refreshes for IBM i 7.3 and 7.2 have already been added. What else have I been able to find? 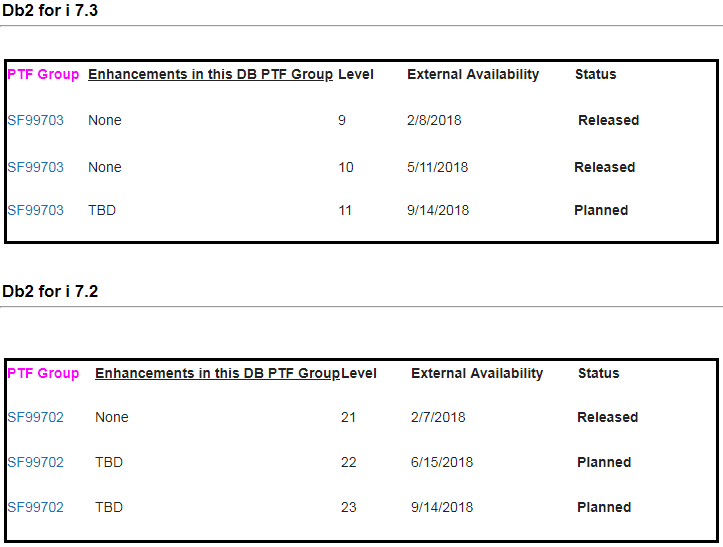 I found the page describing the latest PTF releases for Db2 for i, upon that I found that the next round of PTFs are due September 14. Could that be the release date of the TR PTFs?